Welcome to Season 2 of The Universal Open Rocket League Tournament! The Tournament will take place across two regions - NA and EU. The best of the best from each region will meet in the Grand Finals at the NBC Studios in Stamford, CT that will go on from August 24 – 26. Closed Qualifier to Feature Shoutcasting Talent Mark “Onset” Hatcher, Michael “Achieves” Williams and Callum “Mega Shogun” Keir. New to FACEIT? Let us guide you through the sign up process with a complete walkthrough in order to register your Rocket League account to our platform. NBC Sports Group and FACEIT Again Partner with Psyonix to Host Second Annual 2v2 Rocket League Tournament Featuring $100,000 Prize Pool. 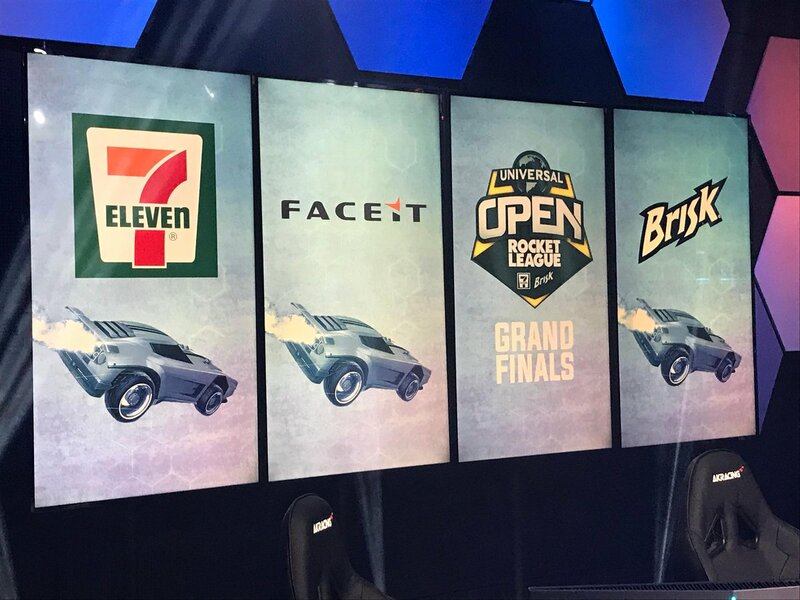 The Universal Open Rocket League Tournament will consist of three (3) stages for North American teams and two (2) stages for European teams with the best 4 teams from each region meeting in the Grand Finals at the NBC Studios in Stamford, CT. Starting off the season with a bang! We will have twelve (12) qualifiers spread across North America and Europe to find the crème de la crème of 2 v 2 Rocket League players! This is where the test truly begins. The Top 16 teams from each region will face off to secure 1 of 4 slots available in the Regional Finals. Exclusive to North America, the Top 4 teams from each region will battle to win the coveted spot of representing their NA region in the Grand Finals. Will Europe lay claim to the championships again or will North America stop them dead in their tracks this year?! Watch as the Top 8 teams in 2 v 2 Rocket League fight for title of Universal Open Rocket League Season 2 Champions. For your viewing convenience, we have provided three ways for you to stay up-to-date on all the 2 v 2 Rocket League action! You will have direct access to the live stream via the Universal Open website. You may also watch the tournament via our stream channel on Twitch. Missed a cool shot or clutch play? Don’t worry, we’ve got your covered!